Chris has a degree in Education with an art minor. 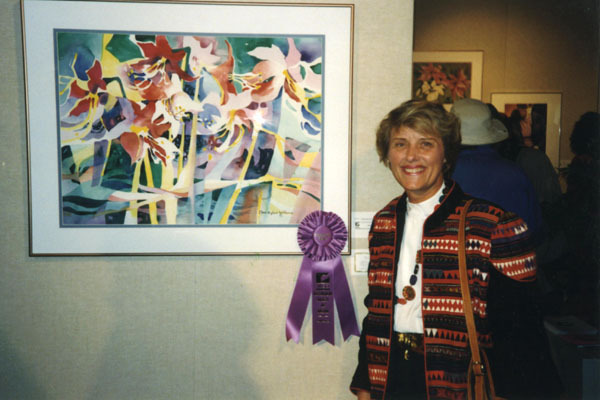 She has been a well known and respected watercolor instructor for over 25 years. "If I could absorb all she gave, I'll know all I need to for my painting future." 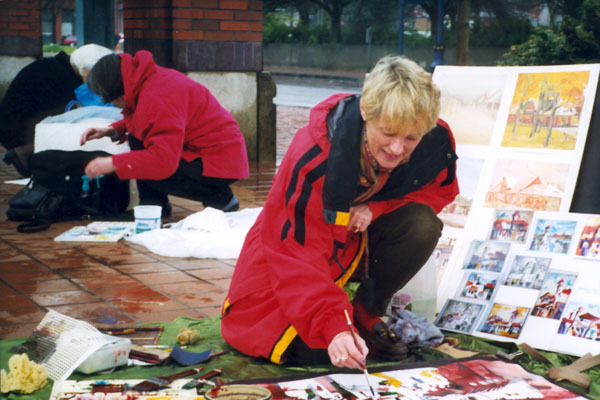 "Chris is a great teacher, a kind and sensitive 'critiquer', not to mention her level of skill and an eye for form, shape and color. I learned so much from her." "At the start of the week I said to myself, 'I do not belong in this class!' Today is Friday-- I have been so challenged! And I have picked up so many new inspirations!" 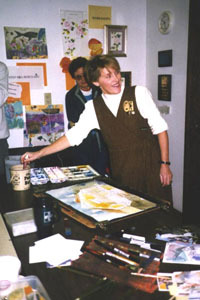 Chris teaches watercolor courses and occasional workshops through the Village Gallery of Arts in Portland, Oregon. For a schedule of classes, contact the gallery. To inquire about Chris's current teaching schedule or arrange a class for your area or group, contact Chris by email or phone.